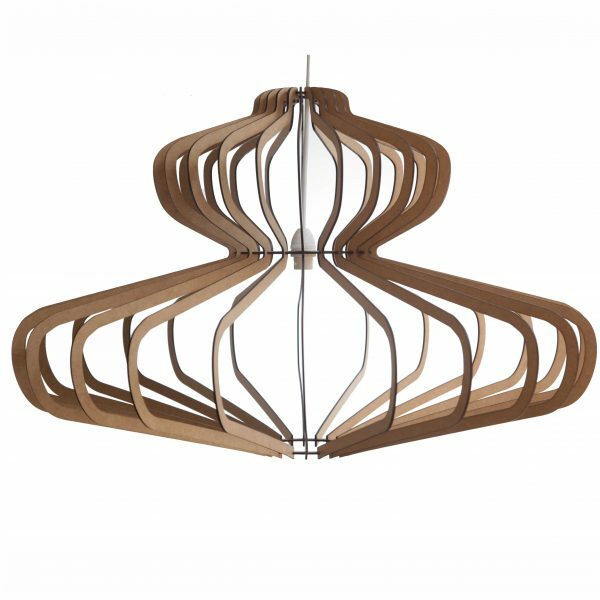 ‘The Bishopscourt’ is the largest design in our Southern Suburbs range of wooden laser cut pendant lights. 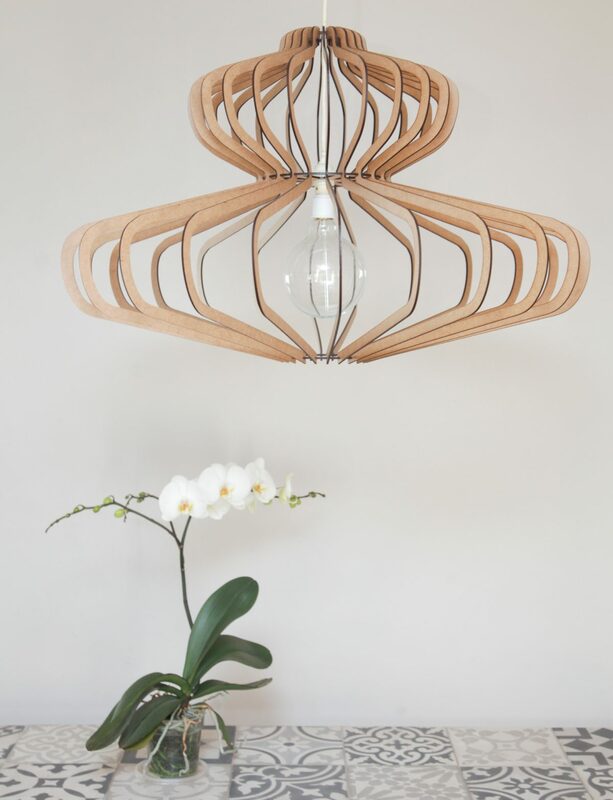 It’s eye-catching presence adds a unique dimension to your creative living space, especially if it is complemented by a funky filament light bulb which sits comfortably mid way. Furthermore, its presence will certainly create a talking point! ‘The Bishopscourt’ is a wooden laser cut pendant light belonging to the Southern Suburbs range. 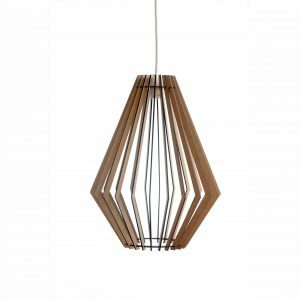 It’s eye-catching presence adds a unique dimension to your creative living space, especially if it is complemented by a funky filament light bulb which sits comfortably mid way. Furthermore, its presence in a larger room will certainly create a talking point! 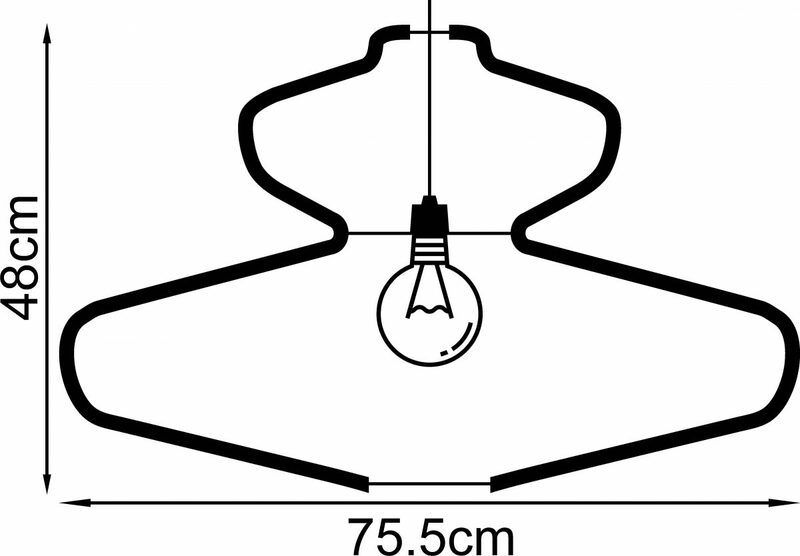 Your wooden laser cut pendant light will be shipped flat-packed with instructions on how to put it all together. No glue or screws required, the pieces simply slot into one another.